Fulton Market District restaurant with a rooftop patio offering Mediterranean and California-influenced fare. 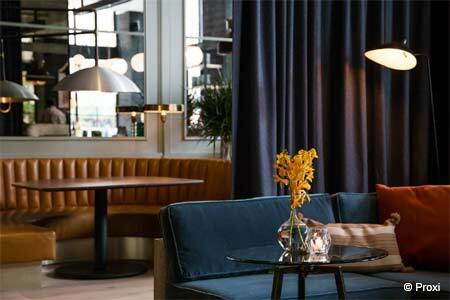 : Making its home in the Fulton Market District, Aba accommodates diners indoors and on its rooftop patio. 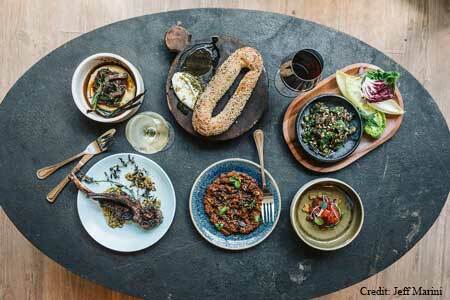 Chef CJ Jacobson is behind the Mediterranean and California-influenced fare. The menu includes a number of hummus varieties complemented by house bread, raw options such as charred lamb tartare, skirt steak shawarma, grilled octopus, kebabs (chicken kefta, salmon) and frozen Greek yogurt. Wine, beer and cocktails are available.